Discounted Title Closing Fees. 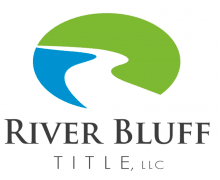 Heroes can access additional savings on the real estate transaction with River Bluff Title. River Bluff Title is proud to be partnering with the Homes for Heroes program to thank Heroes through savings on title closing fees. Heroes using River Bluff Title receive $100 discount on title closing fees of residential purchases/sales.